The Future of Nuclear Power after Fukushima: Thorium Reactors? UPDATE (5th August 2011): Following the interesting debates and discussions arising from this piece, a follow up article has been written “Time to Change of view of ‘Nuclear Power’” – which was also published in the Tampa Tribune. Hands up – Who thinks nuclear power is safe? Fossil fuels are running out and we all want safe, clean and affordable power for this generation and the next. But is this an impossible dream? Today’s post describes how it is possible: It can be done with a hitherto little known type of nuclear power (yes, you read that correctly) – called the Thorium Reactor. A ‘Thorium Reactor‘ is completely different to the Fukushima power plant design: A Thorium reactor doesn’t produce radioactive waste that lasts a thousand years, it won’t ever have a Chernobyl-like ‘melt-down’ and it can’t be used to make an atomic bomb… And here’s the Sucker Punch: We’ve known about this super-efficient green technology for over 50 years! A brief history of nuclear power: Back in the 1950s, atomic energy had just been born. Researchers and engineers slavishly tested dozens of different ways to yield this new found source of power: There were literally thousands of different ways tosplit an atom. But one method won out: The solid fuel Uranium Reactor. A decision made in the early 1950s set in motion the wheels which means nearly every nuclear power plant today is based on this technology. The thing is, the solid fuel uranium reactor wasn’t the best design. Not by a long shot. Why pick a bad design? In the early 1950s, the US Military wanted nuclear bombs. The fastest way they could do it was by building uranium reactors. That way, they would have an abundance of the raw material they wanted for bomb making – Plutonium-239; a nasty waste product of a normal uranium reactor. They also wanted a design that they could shoehorn into a nuclear powered submarine. The uranium reactor fit that bill. It really didn’t matter that uranium reactors were pretty inefficient, tended to overheat and relied on a rock that needed intensive mining and refining. They had a bigger agenda. Fast Facts: What so great about a Thorium Reactor? It’s safe: Nuclear reactors, like the one at Fukushima need constant cooling – even if they’ve been switched off. Nuclear ‘meltdown’ happens when these cooling systems fail (like in Fukushima) and the uranium fuel core overheats. But within a thorium reactor, a ‘meltdown’ simply isn’t possible – turn the power supply off and the reaction just stops. It’s cheap: At the moment, thorium is being thrown away. In rare earth metal mines around the world, millions of tonnes of thorium are extracted. They don’t need it – and so these companies are literally paying someone to get rid of it! It’s clean: Thorium ‘burns’ much more cleanly than uranium, and only produces 1% of the waste (see image below). Much of the ‘waste’ from a Thorium reactor is actually quite useful and can be re-used for powering space probes (amongst other things)! Reactors are easy to build: Conventional nuclear power plants take about 15 years to set up and build. A thorium reactor is a much more simple structure and operates at a much lower temperature., therefore they can be much smaller and are faster to build. Is Nuclear Energy really the future? Staring in the face of fossil fuel shortages and impending climate change, the world desperately needs to change. Before now, I have never liked the idea of nuclear power being a part of that future- radioactive waste and nuclear disasters just don’t really appeal! But thorium reactor technology seems to offer a great compromise for safer, greener energy. Thanks to the internet, the word about alternative nuclear power is slowly getting out. Online communities such as EnergyFromThorium are also gathering momentum in the Western world. But politicians and energy companies are reluctant to invest in change. At the moment, the only country that really taking thorium technology seriously is China – and they are leading the way in researching and developing a new generation thorium power stations. Had Fukushima, Chernobyl and Three Mile Island had thorium reactors, today’s newspapers would be telling a different story. My hope is that the ongoing tragedy in Japan can act as a catalyst for change. Note: This article was reprinted and featured in the April 17th edition of The Tampa Tribune. Click here to read that version. Just how abundant is Thorium? Charles Barton tries to answer this question (site also has a very good selection of links). Want to buy some Thorium? Compare the price between Throium and Unranium! Excellent article, thanks. 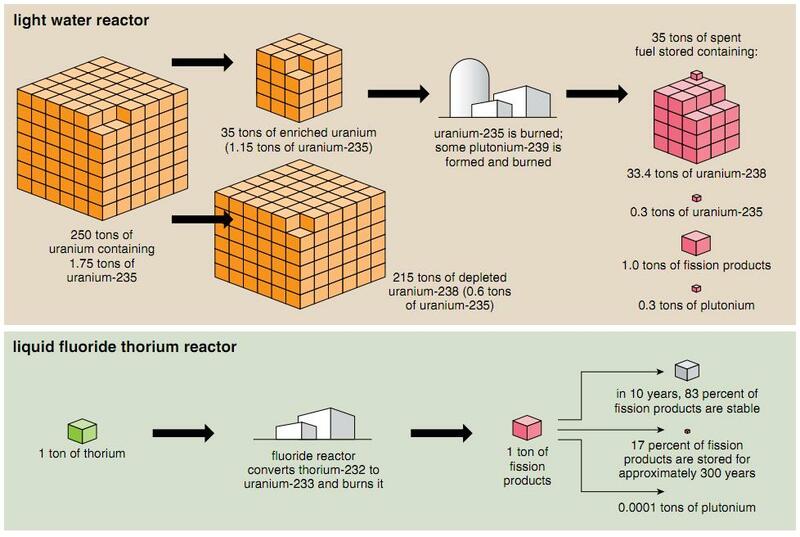 A thorium reactor can also incinerate waste produced from its uranium counter parts. 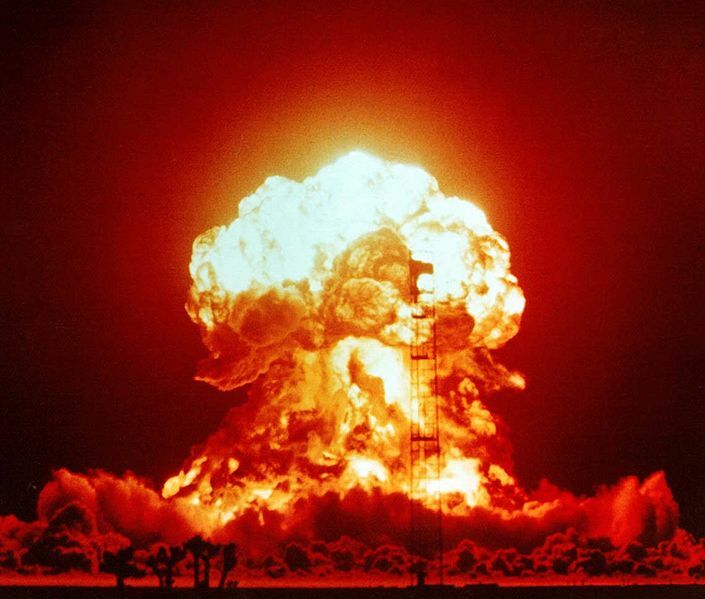 Thermo-nuclear bombs can also be incinerated in a Thorium Nuclear Reactor. I’ve also read that desalination of sea water can also be part of a Thorium Reactors electricity power generating process. In Feb. 2011, China announced that it plans to mass-produce and export transportable Thorium LFTR reactors which will replace coal-fired boilers in existing electricity plants worldwide. This will result in a dramatic reevaluation of the whole Carbon-Price debate! China will invest billions of dollars in this lucrative venture! They will be unstoppable. India, Russia, Japan & the USA are now rushing to compete. Most nations will soon see no need for Carbon pricing! That’s a pretty incredible prospect! I truly hope that something like this can happen and we can finally move away from relying on short-sighted ways of generating power. Thanks so much for commenting and sharing this information! You cant just do without uranium. If it were at all possible, Indians would have done it during 34 years when they were denied uranium by the NSG. A thorium fueled reactor may either need fissile feed from time to time or, if it is a breeder, once at start. 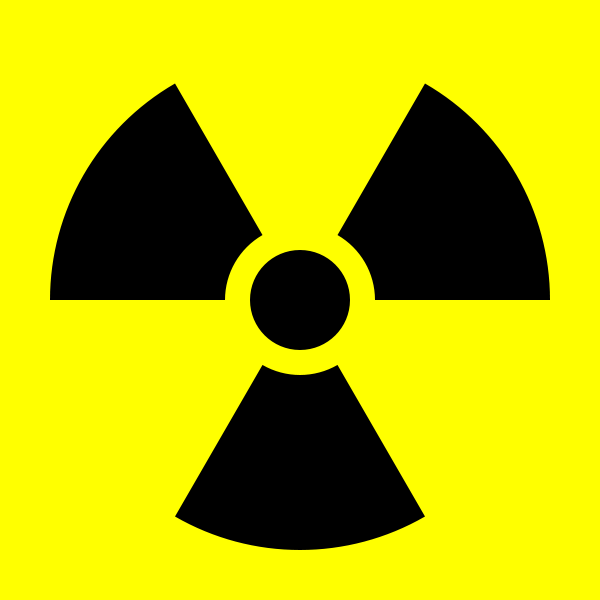 The only natural fissile matter the nature has given is Uranium235, 0.7% of natural uranium. You can, of course, produce another fissile matter Plutonium239 by irradiating uranium in a uranium fueled reactor or Uranium233 by irradiating thorium the same way. There are not many reactors working on thorium-U233 except for an experimental reactor in India. And it is not a breeder. You are right, most Thorium reactors need a small amount of Uranium. The LFTR Thorium reactors only need an initial seed of Uranium at startup. They never need any more after that. From then on they only burn Thorium. After 50 years, the initial small percentage of Uranium is still present (bred) in the molten salt. The uranium required for a “world supply” of LFTR reactors is insignificant compared to the worlds current consumption. India has been working on Thorium reactors for decades. They currently have over 500 on the drawing board. Most nations don’t publish their work on LFTR reactors because many of the patents on LFTR design expired 30 years ago – and anything they do reveal will be simply “photocopied” by China. No fissile material required whatsoever. (Although it would definitely be easier). Hot Dry Rock Geothermal is the true “clean” new unlimited power source that massive investment is needed in. They are unnecessary, poisonous, and so far a crime against humanity. Ask the children of Belarus. Electricity from “Hot Rock” is not available near most of the worlds major cities and therefore requires a massive national grid. Current planning is to get away from our dangerous dependence on a ‘national grid’. We don’t want an ice storm blacking-out 50 million people! Another serious problem with a national grid is that it cannot possibly handle the power requirements of future electric vehicles. Within 15 years, 50% of the vehicles in New York will be electric – that awesome amount of electricity has to be generated ‘in-state’. No nukes, no coal, no natural gas, no hydro. What’s left? Oh! I know, solar and wind vanes. Why bother with expensive and dangerous Nuclear, when you can have baseload power provided by just water. An average toilet flush amount of water will power your average house. Does away maintaining poles are wires. No carbon. Just water in and water vapour out. Do you mean the deuterium contained in that toilet flush of water? If not, I would say that you have your head engaged fully in that same receptacle you mentioned. 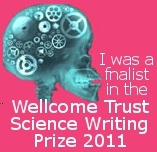 A most elegant response toward some rather dubious science (a la pseudo-science)! Thanks for your comment! Your thoughts are much appreciated. The method you suggest involves splitting water by electrolysis into hydrogen gas and oxygen. The hydrogen presumably can then be stored and burnt as required (e.g. In hydrogen fuel cells). Does the problem not still remain that energy needs to be required to perform the electrolysis in the first place?! And if the hydrogen is then to be burnt for electricity, is this not just reducing the efficiency of the energy generating system (be it from tidal, solar, etc)? This article is deceptive and factually incorrect at many levels. In the Fukishima disaster, the nuclear reaction was stopped within minutes of the earthquake, well before the tsunami hit. The overheating was caused by short-lived fission products, which would cause the same problems in a thorium reactor. Similarly, most of the environmental contaminants (Cs, I) are fission products which are produced by both reactor types. Also, most thorium reactor designs being worked on are not molten salt reactors, because molten salt is very corrosive and dangerous. Thanks for commenting – there is no intention to be deceptive or be incorrect in the details. I am no expert in this field, but an interested punter fascinated by this. Since writing this piece, I’ve been in contact with a few experts in the field as I’m trying to find out more. “If it a [LFTR] begins to overheat, a little plug melts and the salts drain into a pan. There is no need for computers, or the sort of electrical pumps that were crippled by the tsunami. The reactor saves itself” Kirk Sorensen (see: http://www.telegraph.co.uk/finance/comment/ambroseevans_pritchard/8393984/Safe-nuclear-does-exist-and-China-is-leading-the-way-with-thorium.html) and the link to Kirk’s site above. – In terms of abundance, I read your article with interest. Are you saying then that the claims of the likes of: http://thoriumenergyalliance.com/ThoriumSite/portal.html wrong? The thorium site claims are technically correct but grossly misleading. The entire Earth has a Th/U ratio of 4. However, the vast majority of both elements occur as trace components of normal rocks (chiefly granite) and are not economically recoverable. Foolproof safety features for theoretical reactors are great for theoretical safety. It is obviously very difficult to predict what happens when a molten salt reactor gets hit by a tsunami. more later. I have included extra links both within and at the end of the article I have absolutely no intention to be ‘deceptive and misleading’ to the reader. I haven’t found much in the way of arguments against Thorium reactor technology – do you disagree with the idea in principle or do you feel it’s potential benefits have been exaggerated? No worries Stuart. This is just a bit of a hot button issue for me because it attracts a number of fervent followers while glossing over the problems. While thorium does not require isotope separation, it does need to be bred (transmuted via neutron adsorption) into 233U, which is the actual fuel used (232Th is not fissile). Molten salt Th reactors are not impossible, but the salts used are corrosive, toxic, radioactive, and emit deadly gases if cooled, so “inherently safe” probably isn’t the best descriptor. World U resource is estimated to be around 35-50 million tonnes, while the world Th resource is about 2 million. Note that since Th is currently only recovered as a byproduct, the definition of resource is a bit sketchy. hot dry rock causes increased volcanic activity and earthquakes,whereas the Molten Salt Reactor uses spent radioactive fuel rods,that need to be used before they get buried everywhere,and a particularly BAD place to dump them would be in canada near the worlds fresh water supply. They’re killing livestock in Japan. Dr. Farrimond, Will you please consider creating a Facebook page? Myself and perhaps a few friends will try to promote it.